Viggo Mortensen — Will You Drop By? Even when he’s irritated, I’m sure that Viggo does not look like this when he’s buying stamps at the Sandpoint, ID post office. 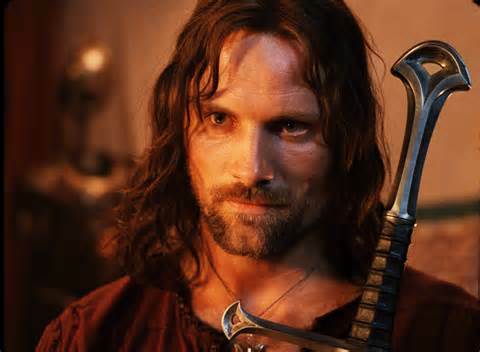 You won’t believe this, but yesterday I spoke with someone who knows someone who knows Viggo Mortensen’s (Aragorn, son of Arathorn, from the Lord of the Rings Trilogy) brother. The Norwegian Artist and I were in Sandpoint, Idaho, having driven 4 hours in the rain to deliver paintings for the Norwegian’s solo show, and as the gallery assistant and I were discussing the area’s attractions, Viggo came up. Apparently, he lives there, sort of. I mean, I would live there, sort of, if I could — trees, mountains, alpine lakes, cute downtown — but our second home is, well, we don’t have one, and if we did it’d be an awful hassle transporting the three goats back and forth in a Honda Fit. It was enough packing 30 paintings in there, and they don’t create little black pellets that look like chocolate covered raisins. They also don’t chew the seats. But Viggo escapes to Sandpoint, which may seem surprising if your impression of a small town is that everyone knows everyone — which is true, actually — and has nothing better to do than hound famous faces — which is not. While in our little town, we’re still talking about Matthew Fox (Jack on Lost) dropping by to hunt deer, we’re just as passionately discussing our brand new, great big, genuine hotel that looks like a hotel and even has a covered swimming pool. I mean, you’ve got to put these things in perspective. Of course we’re nosy — all people are. But we’re nosy about everyone, regardless of whether we’ve seen their face 15 feet high on a movie screen, and we spend as much time giving one another space to breathe as we do talking to, and about them. After all, most of us live in small towns not because of the incredible employment opportunities, but because we can live quietly, independently, and with a greater level of intellectual freedom — really — than we could in a large, impersonal, but intrusive metropolis. Rural America is a beautiful place because there is space, silence, and that aforementioned freedom to live independently — keeping chickens, growing a garden, milking goats, and planting organic heirloom corn that is not genetically modified. Because we do these things, and we see the value of doing them, we are wary of others — politicians and mega-corporations come to mind — telling us what to eat, influencing our procreation habits, insisting that we obtain this latest vaccination, peering into our gardens to see what’s growing there, manipulating the free market to limit which light bulbs are available to use in our kerosene lamps. And because we live more closely to the ground, so to speak, we treasure what we have, not the least of which is our privacy. It’s easy to forget that our national heritage is deeply steeped in individual people and families fighting the elements and reaching for a dream, and while we work collectively as a community, we do so while maintaining our independence. Independence is so important to our personality as Americans that our national holiday features the word prominently in its name. This spirit of independence is what made us great in the first place. It’s what will knock us down and out if we lose it. So Viggo, as much as I would appreciate it if you would drop by (Redtail Gallery: June 21 – July 13; reception June 28 from 5:30 to 7:30) and look at Steve’s art, I understand your reticence. I assure you, we’ll treat you like everyone else, giving you plenty of space to look at the paintings, eat crackers, and chat if you are so inclined. 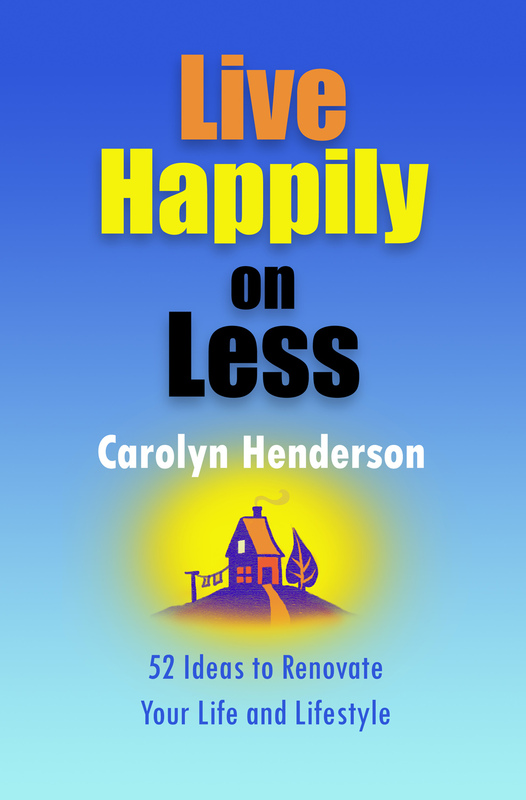 Just OUT — Live Happily on Less in digital form at Amazon.com. We own our home — mortgage free — our car, and seven acres of land. We have functioned our entire married life on one modest income, raising four children to successful emotional and financial adulthood. Live Happily on Less talks about how you, too, can live well on whatever income you’re given, and it does not involve weird, unsustainable money saving tricks and tips. In 52 chapters, Live Happily on Less walks you through simple life-changing principles that you can adopt to make real, realistic, and sustainable changes that work. This entry was posted in Art, blogging, Business, Culture, Current Events, Encouragement, Family, Growth, home, Humor, inspirational, Life, Lifestyle, media, movies, News, Personal, Random, success, travel, Uncategorized and tagged aragon, independence, lord of the rings, movie star, privacy, sandpoint, show, small town, viggo mortensen. Bookmark the permalink. 5 Responses to Viggo Mortensen — Will You Drop By? You crack me up! But, in case he shows up, can you get me his autograph? Margie — if he shows up, I’d like to get a photo of him with the Norwegian Artist, but since I don’t make a point of saying that I won’t infringe on his privacy, this will be a challenge. I saw him on Letterman a few months ago and he seems very approachable and down to Earth. He loves the land the way you do. I’m sure he wouldn’t mind having his picture taken with the Norwegian Artist. I was kidding about the autograph. He’s awfully good looking – perhaps you should have your picture taken with him! Be sure to post it if you do. Have a wonderful weekend and best of luck at the show. Beautiful paintings! There’s a irresistible charm that draws people to small town with amazing views, peaceful landscape, warm, generous smiles, and that includes the stars of hollywood. Thank you, Island Traveler. Yes, there is an irresistible charm to small towns. I was reminded of this yet again this weekend when we were doing a photo shoot and needed — in June — Nativity sets. I put out a call locally via Facebook, and was inundated with generous, gracious, kind offers. Small towns are wonderful places.